If you require a highly reputable, R.E.C.I. 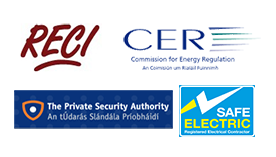 certified company to provide a complete range of electrical services our team in Dublin 6. We are based in Harold's cross and have been providing commercial and domestic electrical services throughout the county for over 25 years now. We undertake all types of electrical work, jobs large and small. This could be from installing an electric cooker to rewiring a home or business. All the work we take on is given the same care and attention to detail. We pride ourselves on providing the best quality electrical services available. 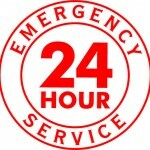 Emergency electricians throughout Dublin 6 area. Occasionally people are unfortunate enough to have emergency electrical issues. This could be a master fuse blowing for example. At times like these you need help fast, especially if you are running a business which can result in a drastic loss in revenue. At electricians Dublin 6 our team are on call 24/7 to help in these situations. If you call us, we will try to give you some expert advice over the phone in first instance. If you need someone we guarantee that we can have one of our D6 electricians with you in under an hour. Dublin 6 electricians available, fully insured all work guaranteed. We believe in the services we provide, so all of our work comes with our standard one year parts and labor warranty. For our customers peace of mind, we advise them that we carry comprehensive public and professional indemnity insurance to the sum of €6.5 million. This is a must in our industry especially as we carry out work on behalf of insurance companies, social housing and the four courts to name but a few of our clients. We believe our prices are as good as anywhere in the market place this is why unlike a lot of electrical companies we have no qualms on advertising them on our website. Our team cover the following areas. Harold’s Cross, Milltown, Ranelagh, Rathgar, Rathmines, Terenure, Kimmage, Templeogue and Terenure. If you would like a free, no obligation quote, you have an electrical emergency or would just like to discuss a project with one of our senior managers just call your local electricians in D6 01-6874854.